Basketball season is back and the Orlando Magic are ready to make a name for themselves this upcoming season. We are still one day away from the start of the 2016-2017 season and two from the Magic’s opening game, but there a still many questions to be answered. The Magic are coming off a 35-47 season, which was a ten game improvement from the 2014-2015 season. Orlando has been re-building with a young nucleus of players since the departure of Dwight Howard. 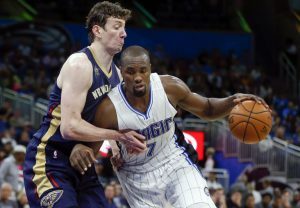 With most of those players having two or more seasons under their belt, the Magic feel like they are ready to make a playoff push this season, lead by new Head Coach, Frank Vogel. After trading Jeff Teague and losing Al Horford to free agency, the Hawks will look to Dennis Schroder to run the show in Atlanta. The Hawks also added Dwight Howard, who spent the last three season as a member of the Houston Rockets. Last season, the Hawks finished 48-34 which landed them the fourth seed in the playoffs last season. Although Atlanta’s offense may not be as productive without Teague and Horford, the addition of Dwight Howard will help a team on the defensive end, while adding more rebounding to a team that was near the bottom of the league in rebounds per game. The Miami Heat were the most talked about team in this division during the off-season. 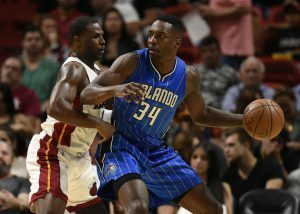 With Chris Bosh’s continuing blood-clot issues, and losing Dwyane Wade, Loul Deng, and Joe Johnson, this years Heat team will look much different than it has in years past. Miami has a young core of shooting guards that could take the place of Wade’s production on the court, but won’t make up for his leadership skills. Now it is up to Goran Dragic and Hassan Whiteside to lead this new look Heat team to the post season. Lastly, we have the Washington Wizards. Before last season began, the Wizards were thought to have one of the best back-court tandems in the league with John Wall and Bradley Beal. That didn’t exactly pan out throughout the season. The team failed to make the playoffs after reaching two straight Eastern conference semi-finals appearances. Granted, Beal missed most of last season with lingering injuries. However Washington is still confident in their back court, and they proved that by making Beal the highest paid player in team history. The idea that this back court could be one of the best in the league is still a mystery, but the potential is there without question. Almost a quarter of the 2016 NFL season has passed and there has been plenty of excitement to this point. As of now, there are still five undefeated teams, rookie and first time starting quarterbacks have started 11-2 combined. Unfortunately, this season has also been highlighted by multiple injuries to star players. Week 4 not only marks the quarter point of this season, but it is also marks the return of Le’Veon Bell, and the final week of Tom Brady and Josh Gordon’s suspensions. Keeping all of that in mind, here is a preview of some of Week 4’s biggest matchups around the NFL. 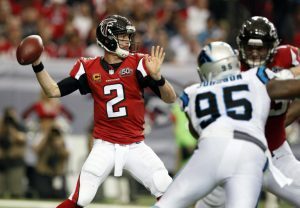 Carolina Panthers (1-2) at Atlanta Falcons (2-1) 1 p.m. These two NFC South Rivals square off for the first time this season. The Panthers have won the NFC South division the last two seasons, but Atlanta’s high-powered offense making a name for itself in 2016. Falcons running back Devonta Freeman, who is coming off a 14 carry 152-yard performance against the New Orleans Saints, says he is ready to face the Panthers defense which is holding teams to under 100-yards rushing on the season. The Panthers have started the 2016 season off much slower than their 2015 season. Already with two losses on the season, Panthers quarterback Cam Newton says his team knows that getting their second win will feel great, especially coming against a division rival. Buffalo Bills (1-2) at New England Patriots (3-0) 1 p.m. 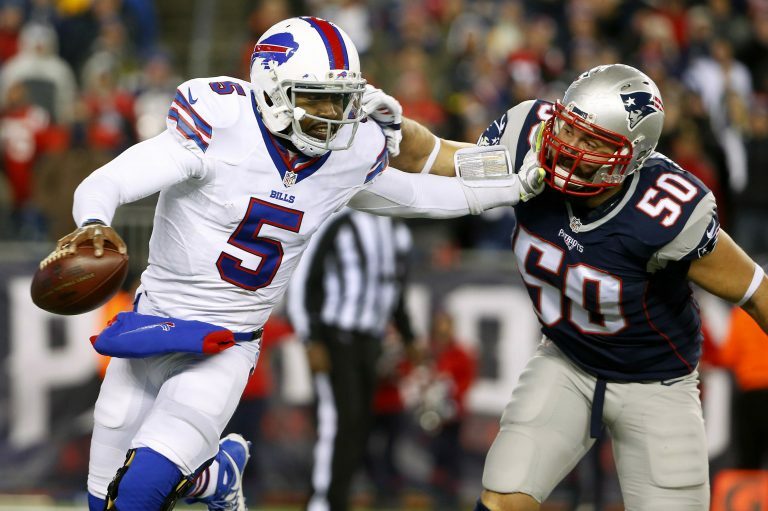 The Buffalo Bills will travel to Foxborough to face off against their undefeated division rival New England Patriots. The Bills are coming off a big upset win over the Arizona Cardinals, where they dominated on both the offensive and defensive side of the field. However, the Bills have lost the last two games against the Patriots and haven’t won in Foxborough since 2014. Meanwhile, the Patriots have been without their All-Pro Quarterback Tom Brady through the first three weeks of the season, and they are still undefeated. Not only that, but they have virtually been without their star tight end Rob Gronkowski for the first three weeks, despite him taking some snaps last week. Gronkowski says he doesn’t want to rush back into things, but he is excited to be back on the field at full-force. Dallas Cowboys (2-1) at San Francisco 49’ers (1-2) 4:25 p.m. The Dallas Cowboys are traveling to San Francisco to take on the 49ers. 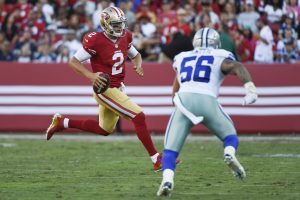 Despite not having Pro-Bowl Quarterback Tony Romo, the Cowboys have started off the season with two wins, behind rookie quarterback Dak Prescott. The Mississippi State product only has one touchdown through the air, thanks to the hands of Dez Bryant, but he has yet to commit a turnover this season. However, the Cowboys could be without Bryant this week, who suffered a knee injury Sunday night in Chicago. Dallas Cowboys Head Coach Jason Garrett says they are pleased with the results from Bryant’s MRI, but he wishes the receiver handled the situation differently. After going on the road for two straight games, the San Francisco 49ers are going into week four 1-2. The 49ers lost their last two games by a total score of 83-45, after winning their first game 28-0. Although the last two weeks haven’t looked great for the 49ers, running back Carlos Hyde is coming off his first 100-yard performance of the season against a Seattle defense that is notorious for holding running backs to under 100-yards. Hyde also has four rushing touchdowns on the season, which already puts him ahead of his three rushing touchdowns from the 2015 season. If there’s anything that looks bright in San Francisco, its in their running game. 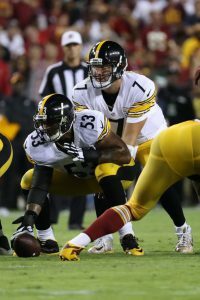 Kansas City Chiefs (2-1) at Pittsburgh Steelers (2-1) 8:30 p.m. This week’s Sunday Night Football game will be in Pittsburgh, as the Kansas City Chiefs will travel there to face off against the Steelers. In the past, the Chiefs have been known for their conservative play on offense while their defense brought the physical presence. This strategy hasn’t changed much, but the Chiefs have scored 69 points over the first three weeks of the season. Meanwhile, their defense is holding teams to just 16.3 points per game. The Chiefs have faced off against three teams with a strong running game, but none like the Steelers, who will have Le’Veon Bell available for the first time this season. The Steelers are now known for their high-powered offense, led by the three-headed monster of Ben Roethlisberger, Antonio Brown, and Le’Veon Bell. After being held to just three points last week against the Philadelphia Eagles, the Steelers will look to attack the Chiefs defense early and often. Bell says he is in great shape heading into his first game of the 2016 season.